So you have just received a quotation for some building repair work you desperately need doing to your property. It turns out to be damn more expensive than you thought. 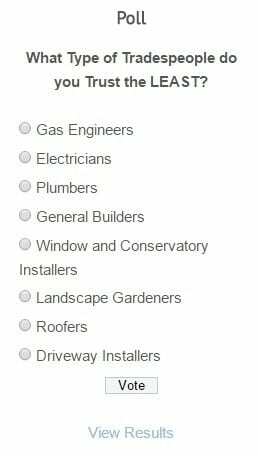 As you have probably guessed, our website here at QuotationCheck is full of example quotes from genuine builders, roofers and electricians etc. But how exactly do these traders create a quote or estimate? What costs and overheads do they have to include in the price? How do you know if the quote is reasonable? The wages for the employees will have to be included in the cost of the quote. For a skilled tradesman that will be in the region of £140 – £200 per day and for a labourer that will come in at £80 – £120 per day depending on trade and location in the United Kingdom. This is perhaps the most painful expense any trader has to accept – Employers National Insurance Contributions. The current rate is 13.8% on all earnings above £7900 per year, per employee. This money has to come from somewhere, so guess where? You! Other labour costs are maternity pay, paternity pay, adoption pay, statutory sick pay and optional bereavement pay. Do not forget that many traders work all year round and will pay their employees on a “per day” basis, even if the winter weather slows down progress (ie outside job), the employees will still be paid their usual rate. The additional burden of poor weather is ultimately passed on to the customer. That slick salesman who visited your home will be taking AT LEAST a 10% cut from the quote, possibly up to 15%. He/she may also be fully employed by the company so may also be taking a salary around the minimum wage as well as sick pay, maternity pay etc. Who do you think typed up that written quote, the invoice, the contract and the guarantee? Who does the day-to-day company accounts? Who answers the telephone? That will be the office staff, you may never see them but they get paid a wage and are also a burden with regards to Employers National Insurance and statuary sick pay, holiday and maternity pay etc. You can assume at least one member of office staff for every 10 “tradesman” employed by the company. Where do you think their wages come from? It’s just another expense that has to included in each and every quote. It is now a legal requirement that employers offer a pension to their employees, the employer is legally obliged to make a contribution. All staff will need to be trained with regards to health and safety, first aid and to meet current regulations such as Gas Safe (Formally Corgi) and “Part P” electricians etc. Office staff and salesman will also need to be kept up to date with the latest legal requirements (cooling off periods and cancellation rights etc) which may require training courses and/or refresher courses. Business waste is not free to dispose of, it must be taken to a commercial waste disposal yard/recyclers. To do this legally, a skip must be hired OR your trader will need to have a Waste Carriers Licence and yes that costs too! Whether your trader advertises online via Google Ads, a website, by radio, by flyers or by directories such as Yellow Pages , these are all expenses that have to be included in the final price supplied to a customer. If your chosen trader is a member of a scheme such as Checkatrade, Rated People or TrustMark etc then this will cost more too as these schemes are not free. The trader or company you instruct to carry to the work will obviously need a van and possibly access equipment such as a ladder and scaffold towers etc. He/she may also have specialist and expensive equipment such as damp meters, gas/electrical testing equipment etc. Not only does this have to paid for but also maintained to meet health and safety requirements. Transport costs can be extremely high, especially if you have a fleet of heavy diesel guzzling vans driving all around the county. Throw in insurance costs, MOT, maintenance, congestion charges and road tax etc and the transport costs start to skyrocket! In addition to van/car insurance, the company will also have to pay for liability insurance and employers insurance for each employee, including office staff. These costs can skyrocket if the employees use sources of heat (gas torches etc) or work in a high risk trade, i.e at height. There will also be costs to instruct an accountant and for legal advice. Don’t forget office costs, such as business phone line (possibly freephone number), internet costs, computers, software, postage costs stationary etc. Need we say anymore about this? 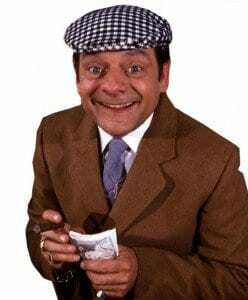 Finally after all the other expenses have been paid there will should be some money left to to pay the company owner/director a wage (taxable of course) which will leave a profit that is possibly subject to corporation tax. Anything left can then be used to expand the business. If you have read through all of the above you may well be thinking “I’m glad I don’t run a medium-sized business”. Well we don’t blame you! So the next time you get a quote from a business that seems a little high, do bear in mind that it may not be by choice but simply because the business has a lot of overheads and costs. That said, there are businesses that inflate their costs and quotes and that is is primary reason why we created Quotation Check!